A New Year once again. 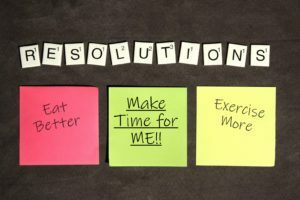 For many of us, that means making resolutions to improve ourselves in some way. This could be anything from being more organized, to losing weight and eating healthier, to increasing our exercise. These are all very good goals, but sadly, for many of us, life gets busy, and we soon revert back to our old, comfortable ways. Are you busy caring for a relative who needs a little more help? Is this taking away from your time to do things “for you”? As our parents, grandparents, and even our spouses age and need more help, our natural instinct is to step up and spend more of our time doing things for them, which at first seems easy. As time goes on, and your loved ones need more help, or you need a little time for yourself, we are here to help. We have a wonderful, caring staff, whose goals are to improve the quality of life for your loved one, while providing peace of mind to you. Our caregivers love working with seniors and enjoy providing companionship, which can include playing board games, talking and reminiscing, taking a walk, or even cooking meals together. They also offer medication reminders, running errands, grocery shopping, and much more. 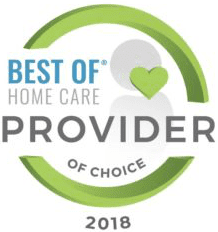 Care At Home caregivers can also assist with more serious concerns, such as dementia, incontinence, and assistance with transfer and ambulation. Our staff carefully selects caregivers whose personalities and experiences match what your loved one needs. If you are having a tough time sticking to your resolutions from the New Year, take a moment to see if having a caregiver for your loved one would help give you some peace of mind, as well as some time to do things for yourself. Taking care of yourself is an important priority that many people, especially, women, tend to let slide. Let Care at Home LLC give you some of your time back, reduce your worries, and provide your loved one with support. How Can Respite Care Help You When You Are Struggling with Depression?